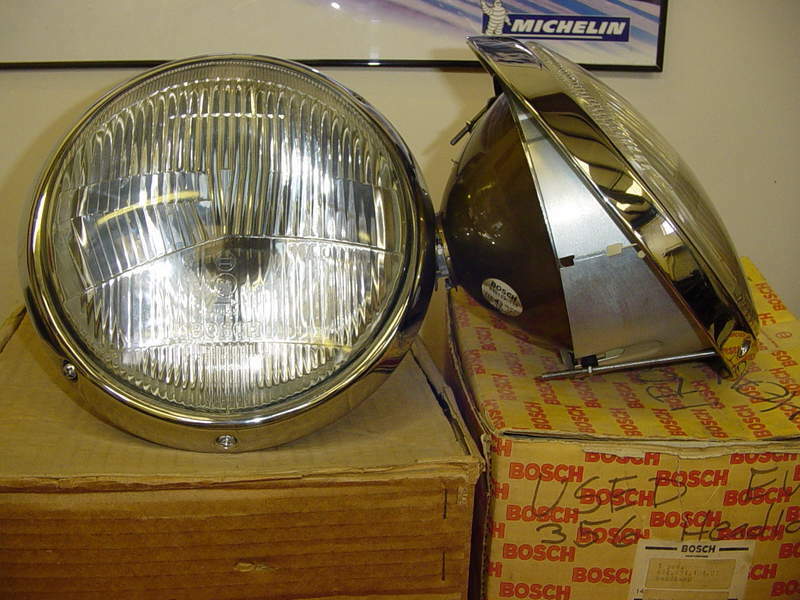 NOS SWB European headlights needed for 901. Very early 1964 car. Might be open to excellent used. Last edited by Frank Beck; 02-14-2019 at 02:21 AM. Not positive those are for 901. Was hoping this thread would be a survey as well as chumming. Those H1 lights were first offered for '68 model year cars. Any earlier cars had non-halogen. What does the car on the far right have? Short version - Bosch-made lights similar to H4s we all use today, but with a non-halogen dual filament bulb and a rounded front lens (same profile as the clear US glass). Therein lies the challenge. Having trouble finding original Bosch Euro assemblies and lenses. edit: ugh, why sideways? i think the iphones work right now and androids go sideways. Thank you. I’ll take em. If those are original lenses they look pretty dang nice.